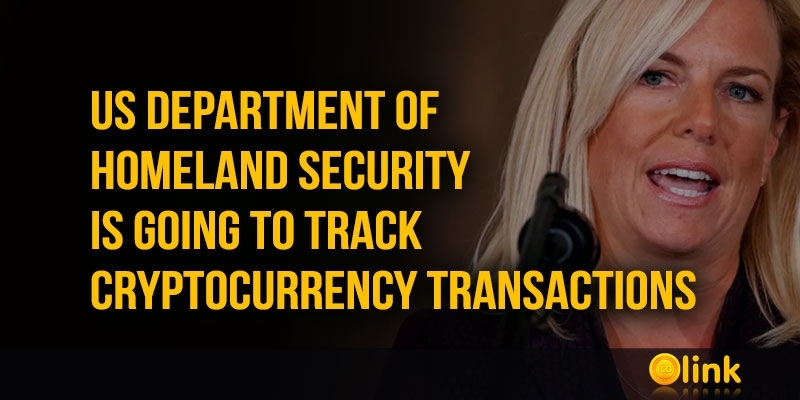 The Department of Homeland Security (DHS) is investigating the possibility of tracking cryptocurrency-oriented transactions. A preliminary tender document published by representatives of the DHS Small Business Innovation Research Program discusses the possibility of using cryptocurrency transactions. Although the document emphasizes the possibility of using cryptocurrencies at both commercial and state levels, special attention is paid to analyzing anonymous cryptocurrencies that are used by criminals. The developers of the document stressed that platforms such as Zcash or Monero are focused on user privacy and consider anonymity their key feature, which translates into the difficulty of determining the source of a transaction or the amount of funds transferred. "While these features are desirable, there is similarly a compelling interest in tracing and understanding transactions and actions on the blockchain of an illegal nature. This proposal calls for solutions that enable law enforcement investigations to perform forensic analysis on blockchain transactions. This analysis can be approached in any number of ways and may consider different data situation use cases depending on whether additional data from off-chain sources are available," the document says. As an example, researchers cited the Zcash and Monero coins, but also noted the possibility of creating new platforms with appropriate privacy technologies. This should be taken into account when creating solutions for analyzing transactions on the blockchain — such solutions should provide a more general approach to analysis. Note that at the moment concrete solutions for analyzing transactions have not yet been selected - first, the developers of the document invited interested participants to contact them and discuss questions of interest. The final draft of the document is scheduled to be published on December 19. Recall that in early 2017, DHS plans to use distributed registry technology to protect, transfer and store data collected by surveillance cameras and control sensors in internal databases became known.